CAN YOU SUPPLY TERMIDOR FOR EXPORT TO THE CARIBBEAN AREA?? WE ARE SITUATED IN THE CARIBBEAN AREA. WE WOULD LIKE TO KNOW, IF WE CAN PURCHASE PRODUCT WHOLE SALE FROM YOU AND EXPORT TO THE CARIBBEAN. PAYMENT WOULD BE EFFECTED IN ADVANCE BY OUR PRINCIPALS. Yes, we can ship it to you. The only thing to remember is that the manufacturer (BASF) does not support this, and it may not be legal to purchase in your country. I would check with your customs department first and make sure that you can legally import it. BASF will not provide any documentation or support. 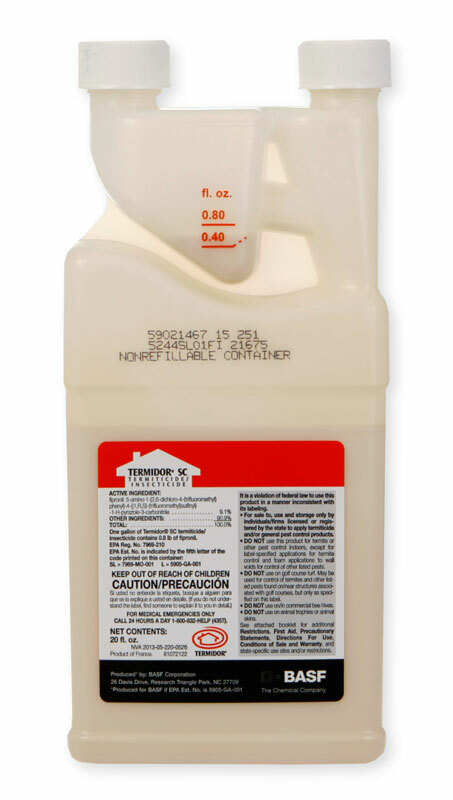 So when we ship it, all we can provide is what is called an MSDS or Material Safety Data Sheet and the label (directions) that are attached to the bottle.